“Whenever you find yourself on the side of the majority,it is time to pause and reflect.”Mark Twain"
Thanks to the democratization of knowledge following technological progress, nowadays everyone knows chess openings. It is getting increasingly harder to ob-tain an opening advantage against a well-prepared opponent, even against a non-professional player who knows his lines well. Some players are stubborn and try to be better prepared than the competition by analyzing deeper (up to move 30 or even further), using stronger engines (e.g. ChessBase Cloud), getting access to cor-respondence and engine databases or by simply memorizing lines from fashionable openings books. In my opinion, for the most part it all comes to down to pure mem-orization and, hence, an abundance of deadly drawish positions or repetitions right out of the opening if both players are up tothe task. Super-tournaments are noto-rious for this. Additionally, the game loses its creative aspect and becomes less fun. I believe that devoting most of the training time to studying mainstream theory is wrong. First, chess is not fun anymore. How many moves does one have to play (memorize) to be finally on his own? Second, opportunity cost –what other chess knowledge could you have acquired in that time? Third, knowledge doesn’t stay the same –if you want to be ahead of the curve in opening preparation, you have to be constantly monitoring new games on a daily basis, updating your software and hardware to gain stronger engines, and reading all relevant published literature. But the competition is doing exactly the same! It reminds me of numerous visits to the old dining hall at my university. There were two tables with food. One table had ingredients to make a burger. The other table had healthier food. Whenever I en-tered the dining hall for lunch, there was one big line and always to that same table. The latter one with healthy food, you might think? No. People were lining up to get burgers whereas the healthy table had no line at all! Isn’t it the same with opening preparation, where there is one clear unhealthy trend? I keep wondering why the majority of players, from total beginners to strong grandmasters, fall into this trap. Learning main lines and staying up to date takes an enormous amount of time, since nearly everyone is doing the very same thing. It is like a rat race, where you always have to run. 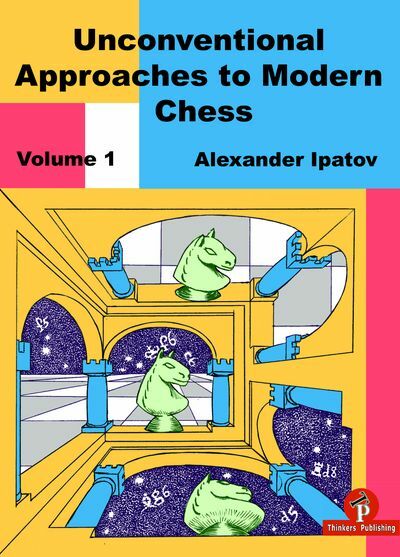 Couldn’t that time be used more wisely by spending it on enhancing one’s general chess understanding --studying classics, endgames, typical pawn structures and plans, and solving tactics? Do not get me wrong. 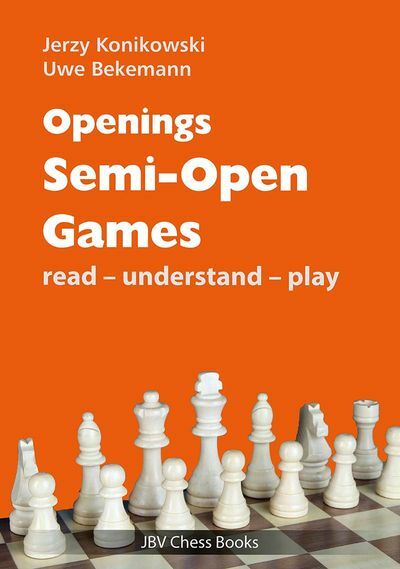 I do not say that one doesn’t haveto know openings at all. Of course not. The message that I’m trying to convey is that one needs to be smarter and avoid following the trend of memorizing fashionable lines until move 30 or so. As a chess professional, I know a number of accomplished players whose strength significantly drops once they are out of book and have to start thinking on their own early on. Much the same can be said about amateur players –they play flawlessly when they follow their preparation, but once they are on their own won-ders start to happen. This brings me to an important distinction that I want to draw between “in theory” and “in practice”. What I suggest is to dedicate most of the training time to improving general knowledge as discussed above, and less to studying mainlines. As far as openings are concerned, there is a plethora of less studied or even totally neglected lines that can be studied at home and successfully implemented over the board. However, it is important to have several such lines, otherwise it will become easy to prepare against you. The whole point is to be predictably unpredictable. While preparing against you, the majority of players will simply turn on the engine, smile (“Eh, it is +0.7, I am much better here!”) and stop preparing. Some of them will follow the first line for a few more moves and then stop. And this is exactly what we want! Also, rare lines imply less theory, which subsequently means that one doesn’t have to memorize as much as in the mainstream theory. For example, if your opponentplays fast, you can anticipate that he has likely prepared the first or second line shown by the engine. So if you understand that position well enough, you can play some other move not shown by the computer! Your opponent, likely out of book and without deep knowledge of that line, will burn some time on the clock and start making inferior decisions later on. However, sometimes, you might get unlucky –your opponent will play well no matter how hard you try to get him out of theory. This is the risk that I am willing to take in my games. Are you? If so, keep reading. 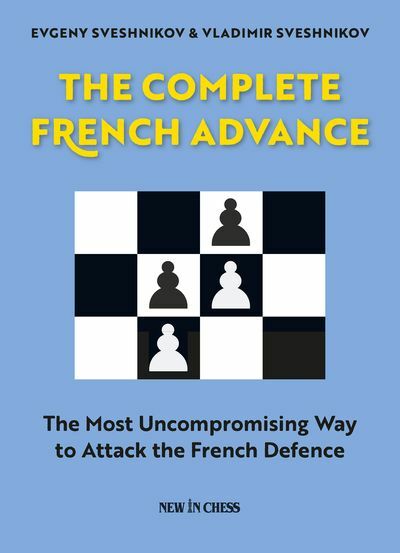 This book is about the practicalapproach to the game of chess. It shaped me as a player and now I would like to share my philosophy with you. My objective is to combat several generally accepted misconceptions, such as a) only studying open-ing theory will make you a better player, b) one should always follow the first or second line shown by Komodo or Stockfish, and finally, c) that “in theory” is equiv-alent to “over the board”. The last fallacy is especially dangerous because it implies that players will keep on making the best moves over the board, and therefore side-lines should never be played as the opponent will always find a way to retain and convert the advantage. That is in theory. Inpractice, however, many players will feel like fish out of water once they end up in a position that is objectively better for them but one that they have never analyzed. Overall, based on my experience as a chess professional, I strongly believe that theabove-mentioned fallacies do not hold true empirically. Most of the material in this book is based on my own offbeat opening repertoire from Black's perspective. The book is divided into four parts. Part I covers sidelines in the mainstream openings where I take a major opening and analyze one or sev-eral sidelines. This is the most theoretical part of the book, where I share a signifi-cant amount of original thoughts and analyses that constitute my opening reper-toire. Part II discusses the concept that I refer to as systems. It still involves theory, but less so in comparison to Part I. What I am trying to convey in this part is the “schematic thinking” –where you think in terms of plans and typical ideas. Part III takes one step further in abstraction –it analyzes notable modern games where one player showed ambition early on in the game and it worked out well for him. 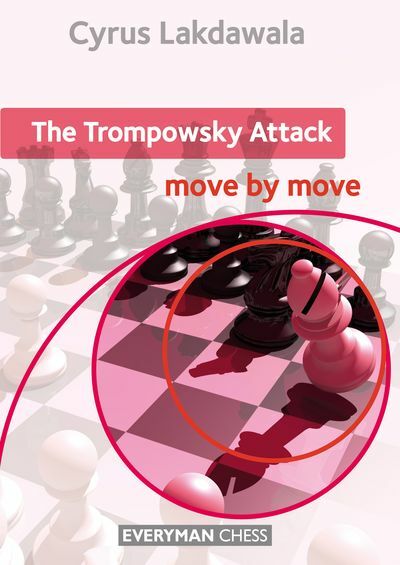 Part IV covers the so-called “early surprises” where early on in the game a player implemented a move that shocked his opponent. Perhaps the most recent example is my game against Sam Shankland where the audacious 1.d4 Na6 2.c4 e5! ?N was seen. All parts cover openings. Therefore, you may see various lines of the same opening being covered in different parts of the book. I did so to contrast different ap-proaches. I’d like to apologize that not every single offbeat opening line is covered in the book –this would be impossible as the number of unconventional lines that you can play is infinite and is limited only by the degree of your creativity and bold-ness. Therefore, my choice was purely subjective –I selected the games and lines that were in my opening repertoire, that I was familiar with or simply the ones that inspired me. Finally, for some games or opening lines it was difficult to decide in which part they should be covered. Hence, my choice was also subjective. My message to you is that modern chess can be viewed and played differently. Therefore, I ask you to see this book in terms of the big picture without bogging down in possiblesmall inconsistencies –such as, for example, the arrangement of the different parts. Thank you for reading this book and let the journey begin!